For some people, giving to charity is innate. Probably thanks to how their parents raised them, giving to those in need has become part of who they are. For others, giving to charity may have come later in life. When you start giving does not matter, however. It is the intention and the action that arises from the desire that makes a difference. It has never been easier to raise funds for a cause close to your heart or to donate to specific charities than it is today. Thanks to technology, finding a charity, donating online, or organizing a fundraiser can be as easy as clicking away on your computer. 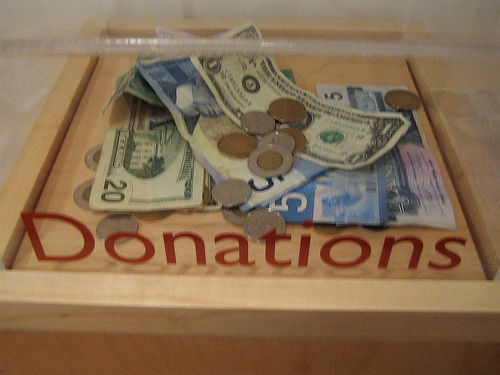 If you have been looking for ways to give back, take a look at these fundraising apps/sites. One – or more – of them might be what you have been searching for. Found at www.causera.org, this web app is a handy tool for people who want to raise funds for school. Other organizations are welcome to join as well. The idea is for it to be a one-stop shop, with products provided by the organization. You simply have to login to create your campaign, and everything else will be done for you. This iPhone app is targetted towards Jewish people who want to give to charity and need a little help in doing so. The help comes in the form of a fun way of reminding you of what you have pledged to give. The idea is based on the virtual charity box – the app – which you can top up any time you want to. At some point, you are still accountable for actually giving the amount you have dropped into the iCharity app. Pledgie is a fundraising site which covers a wide variety of causes – from animals to education to art to health to tech. You can create your own campaign or donate to existing campaigns which you deem worthy. This web site is the extension of an Canadian charity, GiveMeaning Foundation, which aims to assist Canadian charitable organizations to raise funds and awareness for their projects. The web site exists to accept proposals from any charity, with the condition that it is registered in Canada. The Salvation Army has been around since the 1800s and has traditionally been seen as one of the pillars of charitable institutions. While its roots are faith-based, the organization goes beyond faith and does good works to help those who need it the most. This app does not provide options for giving, but it adds a little modern fun to the equation. You get to download bell sounds that are traditionally associated with Salvationists asking people to give donations.